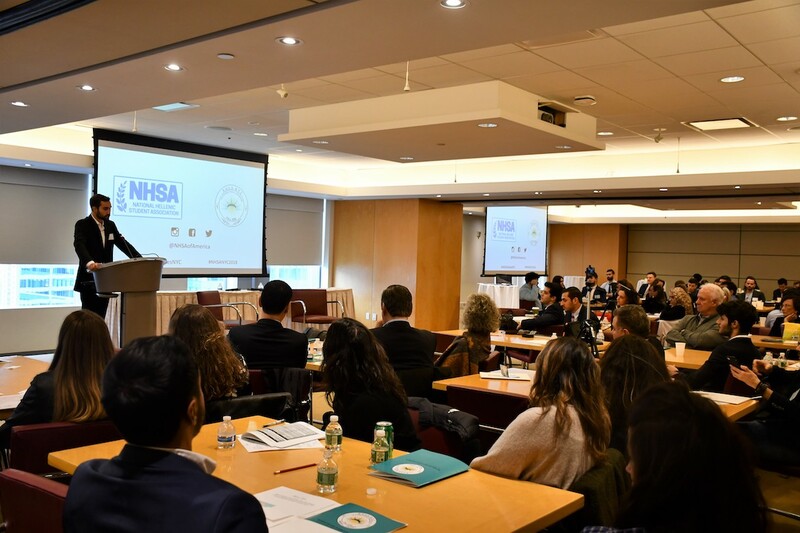 The National Hellenic Student Association (NHSA) of North America drew in dozens of attendees from around the continent for its 20th Biennial Convention in New York City. Taking place over the weekend of Oct. 12, the convention focused on current events, professional development, leadership and community engagement, allowing attendees to network with more than 20 mentors from various professions. Among others, prominent figures in attendance included Consul General of Greece Konstantinos Koutras, WCBS News Anchor/Reporter John Metaxas and American Network Solutions CEO Philip Christopher, who shared the personal story of his Cypriot roots and touched on the importance of being involved in the Greek American community. Others included speakers such as Former Greek Ambassador to the U.S. Loucas Tsilas, who spoke about universal values that define Hellenism and how they can be applied in everyday life. NHSA President Alexander Thomopulos shared departing words as he concludes his presidential tenure, thanking supporters and urging attendees to follow their passions.